Treating you as we wish to be treated. Giving you more than we expect back. Making all decisions with a generational, long-term perspective. Planning in order to make the right choices. Revisiting past choices to either correct them or verify they were correct. In short, we place you first and it makes all the difference. 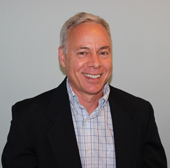 Bob is a managing member and co-founder of Soundview Financial Associates. Bob previously served as asst. vice president and investment center manager (Fairfield) for one of Connecticut's largest independent banks. Prior to that, he had a successful career in information technology. Bob seeks to build long-term relationships with clients who are serious about succeeding in building intergenerational wealth. His primary guiding principal is the Golden Rule—treating clients as he would wish to be treated. Holding an MBA from the University of Connecticut and a BS in computer science from Central Connecticut State University, Bob has more than 20 years' experience in the financial services industries. He is a CERTIFIED FINANCIAL PLANNER™ professional in good standing with the CFP® Board of Standards and is fully licensed to offer life, annuity, and variable life insurance. As an Investment Adviser Representative, he is registered to offer securities and advisory services through Commonwealth Financial Network®, member FINRA/SIPC, a Registered Investment Advisor. Prior activities include teaching continuing education in several local communities, serving on the Education Committee (Monroe Chamber of Commerce), acting as treasurer (Huntington Chapel church) and being a board member of Christian Heritage School (Trumbull, Connecticut). He resides in Monroe, Connecticut with his wife, Yuen Man, and three children, Nicholas, Chelsey, and Tyler. 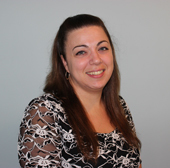 Steffanie joined our staff in 2007 as a client relations manager. With more than 20 years of executive administrative assistance and customer service experience in the finance industry, Steffanie has the breadth of knowledge needed to handle the many tasks required to keep our clients satisfied. Her efforts are instrumental in providing the combination of professionalism and personal touch that is our hallmark.